On Thursday 6th August at about 4:00 pm, villagers in Ullenhall heard a rumble followed by a low roaring sound that many thought must be a machine somewhere. However, a long column of smoke was then seen and the sound of approaching sirens caused people to go into the main street to see what was happening. Over the next few days the story unfolded. The owner of Orchard Cottage is thought to have been in his shed with the petrol mower. The liquid petroleum gas storage was outside (there is no mains gas in the village). Somehow, the gas appears to have been ignited, whereupon it set light to a mature tree which went up in a fast whoosh of flame, observed by many people. 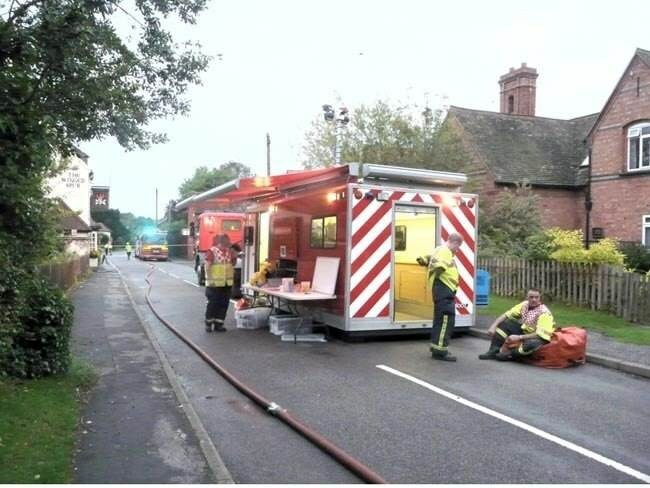 The Fire Service was, of course, concerned that the gas tank might explode so advised nearby residents to leave their houses for a few hours whilst they got the situation under control. One or two people made cups of tea for the firemen who were on duty until around 10:00 pm. Most of the time, there were four fire engines in the main road through the village and all cars were diverted so that no-one could drive near the cottage which was at risk from a possible explosion. In the event the firemen managed to prevent the gas tank from exploding. The following day people were upset to hear that the man from Orchard Cottage had died in the accident. 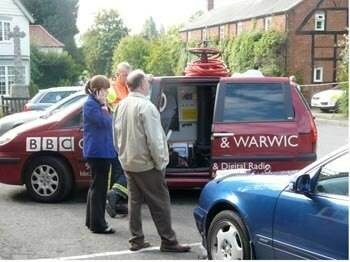 Our photo (right) shows the lady reporter from BBC Coventry and Warwickshire preparing to interview the next-door neighbour and the accident investigator. Orchard Cottage is in the background with the police car in the drive. Roy Edwards 18th June 1926 – 1st August 2009. 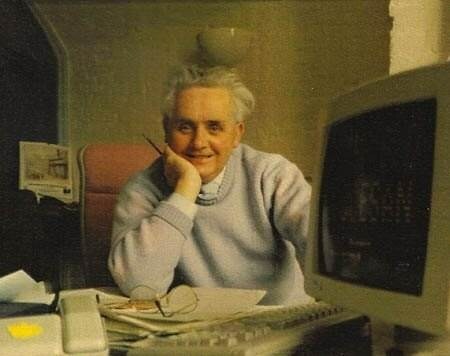 Central to Roy’s life was his faith and church life. His principal work was as an administrator to the Diocese of Lichfield. His accountancy skills were legendary. This talent and his sense of service to his church, locality and the people around him led him to be the treasurer of at least 13 organisations and auditor of many more. As the recently appointed chair of the Town Improvement Committee, I have known Roy only briefly. Initially I could not understand how he could possibly manage such a variety of tasks, but his super efficiency and organisation meant that whenever I had a question for him about our finances, and because I was the new boy there were many, there was an instant and accurate answer. This was mostly without reference to notes. I know that all organisations with which he was associated found the same level of knowledge and wise counsel. A good example was his role as auditor of the management accounts for the Heritage Centre, where he was famous for spotting the small error that everyone else missed. Generally dismissive about state-of-the-art technology in the field of accounting, Roy was able to demonstrate over and over again the value of common sense, a sharp eye and great experience. 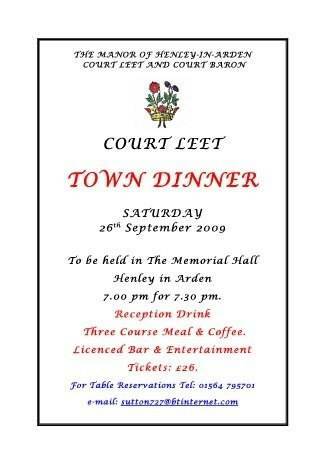 Roy was treasurer of the Henley War Memorial Trust from the mid nineties and was one of the few steadying hands who helped to steer the trust through some difficult times. His experience, knowledge and facility with accounts and accounting will be very much missed by us, along with many others. His many responsibilities will be taken by a number of others since it is very unlikely Henley will ever have such an energetic, capable and generous man who possesses the talent to take on the many roles which Roy held in Henley, let alone his commitments to the Friends of Coughton Court, Parkinson Society, St John’s Ambulance and a number of churches. About 350 people attended his funeral, held at All Saints Church in Small Heath. They came from all parts of his life and contributed to a fitting tribute for a great and brilliant but self effacing man of humility. He would not have approved of this article, for instance. 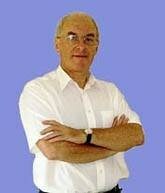 There are many people in many organisations who will miss Roy and mourn his passing. Our sympathy goes to those who will miss him most, his family. 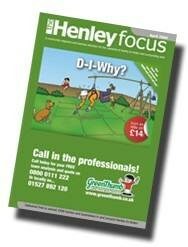 Henley salutes a dedicated servant and Henley will be the less for his passing. Following extensive upgrade and redecoration, Seymour Fieldhouse Homes is pleased to be able to offer the following properties for applicants as beneficiaries of the above Charity. Flat 3 is a first floor studio flat with new floorings, carpets and refurbished kitchen and shower room. This flat is available immediately for single person occupation. House 4 is a one bedroom house with living/dining room, kitchen and shower room. There is also a small outhouse storage area to the rear of the property. This house was completely refurbished with new kitchen and shower room in 2005 and is available from the end of August 2009. This would suit either a single person or a couple. 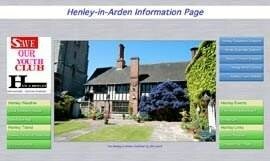 Both properties have views of Wootton Church and the floral courtyard gardens at the front and rear of the property. 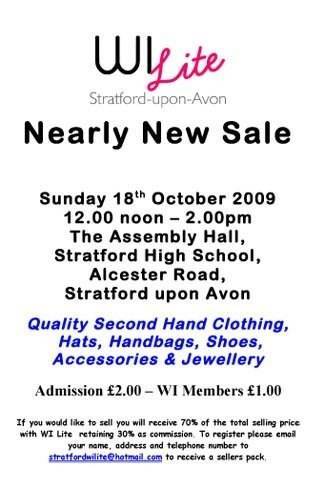 There is a local shop nearby and bus services to both Birmingham and Stratford-upon-Avon are available from outside the property. 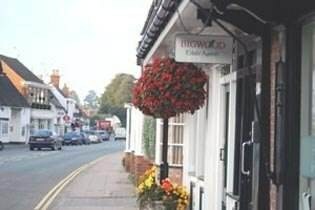 The applicants ideally would be around retirement age and have connections with Henley-in-Arden, Ullenhall or Wootton Wawen of around five years. This Charity requires its residents to contribute a monthly sum towards maintenance. Please contact the Clerk on 01564 794475 in the first instance who will be pleased to give you further information and an application form. 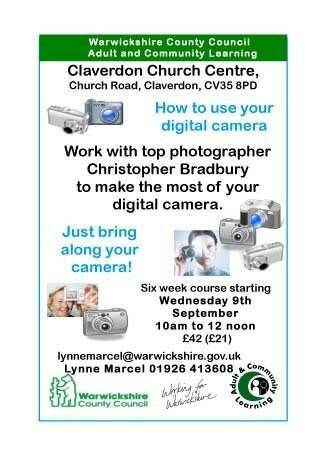 R U aged 12-19? R U bored? Do U want somewhere to go or something to do? The HUB is open Tuesday & Wednesday nights during term time from 7-9pm for young people aged 12 plus to just drop in. Each night youth workers will organise an activity for young people to join in. The HUB has a pool table, table tennis, PS2 and free internet access and it only costs 50p per night to come along. Young people get involved with projects at The HUB. Young people can learn to drive…‘Get behind that Wheel!’ is a pre-learner driver project delivered by 90-One Education at the Heritage Motor Centre in Gaydon. In total 25 young people aged 15 plus from Alcester, Henley and Studley have taken part in the course which started on Thursday 30th April. Participants have had the opportunity to learn to drive safely on a simulated road system whilst under the supervision of qualified driving instructors. 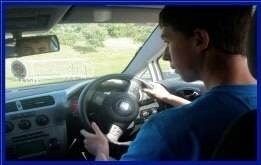 In addition to getting behind the wheel of a car, young people have engaged in workshops to explore the history of motoring, vehicle maintenance, responsibilities of motorists, costs of owning a car, environmental impact of vehicles, the law and the consequences of failing to adhere it. 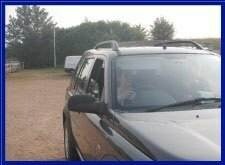 The project is aimed at encouraging young people to be sensible and law abiding motorists. The 10 week project concludes with a celebration event at Full Throttle indoor karting centre in Stourbridge. ‘Climb 2 Survive!’ young people from the HUB have taken part in a climbing project where they learnt to climb one evening per week for 6 weeks at Creation Indoor Climbing Centre in Moseley, Birmingham. The group were taught how to belay for each other, which involved being able to fit a safety harness correctly, learn to tie various knots and how to belay using the ropes whilst someone else was climbing the wall. 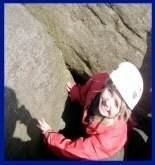 In addition to climbing indoors the group had the opportunity to put their skills to the test in the great outdoors! 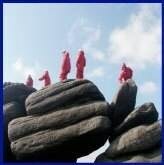 Two day trips to Derbyshire were organised so that the group could experience climbing in the natural environment. As well as climbing in Derbyshire, the group got to abseil and experience weaselling which is a great team building activity. 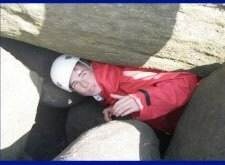 Weaselling involves scrambling over rocks, squeezing through tight spaces and sliding down through rocks….great fun was had by all! Young people were under the instruction of Warwickshire’s Outdoor Education instructors at Creation Indoor Climbing Centre in Moseley, Birmingham. Once the group had learnt the basic skills, they moved on to developing their skills through trying out more complex routes. 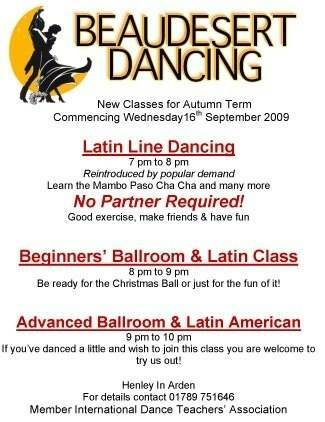 Tuesday, Wednesday and Thursday from 7-9pm. 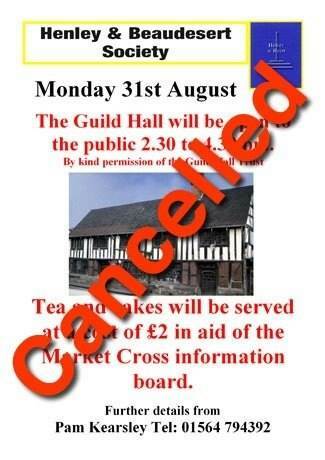 Because of unforeseen circumstances the Society regrets that it has had to cancel its fund raising event on Monday 31st August in the Guildhall. Johnsons’ centenary year celebrations continue with the Charity Family Fun day on Sunday 20th September in support of the Warwickshire & Northamptonshire Air Ambulance. 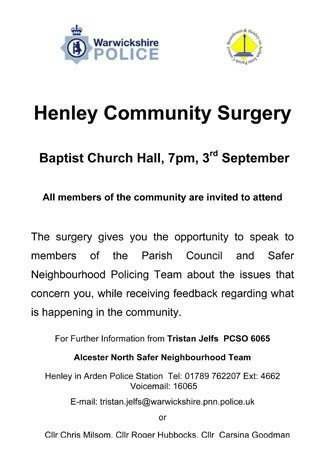 There’s still plenty to be done in preparation but we’re eagerly working with community groups and businesses alike to make sure that this fundraiser is one that will go down in Henley’s history books. 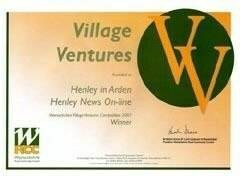 Support from the local community already includes the Henley Rotary Club, St John’s Church, the Henley & Beaudesert Society, Ullenhall Gardening Club, Henley Rifle & Pistol Club, Make Henley Greener, Henley in Bloom, Henley Ice Cream, the Henley Heritage Centre, Henley NEWS On-line, the Coventry Transport Museum and many many more!! Now we’re on a hunt for raffle prizes, 2nd hand books and Bric ‘a’ Brac to really make the most of the event’s fundraising potential. Do you know of a business that might be happy to donate a raffle prize? Or someone who has an unwanted stash of 2nd hand books? 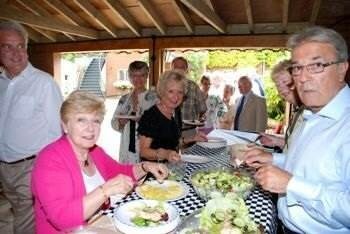 The Anglo Italian Society held its first summer BBQ at a private residence in Lapworth. 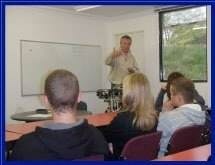 The event was organised by Tony Holdback. Members of the organising committee with the Life President, Commendatore Franco Vegnuti are pictured below. I am writing to say how much I enjoyed the Grumpy Old Man's contribution to the last edition. Twenty billion pounds would seem an affordable sum to pay for such a splendid scheme, especially when compared to the huge amounts of money used to bail out our greedy and self-serving banking industry. I would point out however, that twenty million people each receiving one million pounds equals twenty billion pounds only under the long-scale numerical system, what many people refer to as the 'English' billion. The billion referred to in the newspapers and on television programmes however, is not calculated using the long-scale. Since the mid-seventies the UK Government has used what is is termed the 'short-scale' numerical system where a billion is a thousand million (what many people call the 'American' billion). The UK Government, the BBC and many if not most other media organisations have used this meaning of 'billion' for decades now. Under the currently-used short-scale system, I'm sorry to say that twenty million people each receiving a million pounds would actually cost twenty TRILLION pounds, an astronomical sum that is well over six times the annual nominal GDP for the entire United Kingdom. 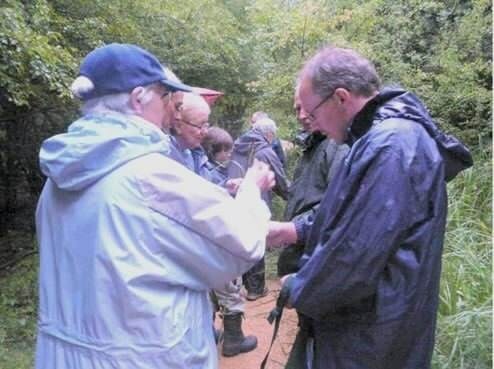 On August 4th eleven hardy members of the Henley Wildlife Society made a visit in the rain to the Ufton Fields Nature Reserve. David Morphew showed them around, pointing out flowers, trees and the places where one can normally spot small mammals and birds. The site is a place where, for many decades, limestone was quarried in parallel grooves. These grooves have now filled with water and become a series of small, long lakes and strips of marshy ground with shrub land in between. There is a small area of open meadow where there are several types of orchid which flower in late spring. At this time of year there are other flowers such as St John’s Wort, Agrimony, Purple Loosestrife, Yellow Wort and the delightfully named Enchanter’s Nightshade. The group learned how to distinguish between three types of thistle that grow on the site: Creeping Thistle, Marsh Thistle and Spear Thistle. Our picture shows members learning to feel that ‘sedges have edges and rushes are round’. It is quite easy to feel the different cross sections once you have the rhyme to teach you. The footpaths through the reserve are in good condition making this a really nice place to recommend for an interesting stroll on a fine day. 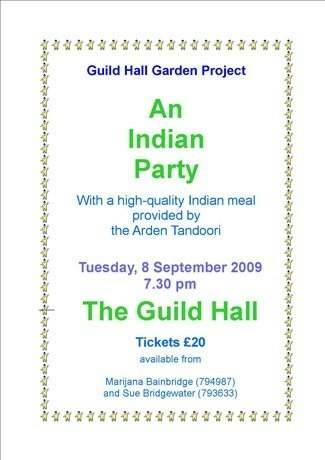 The next event is a talk about India on 15th Sept in the Baptist Hall at 7:45pm. 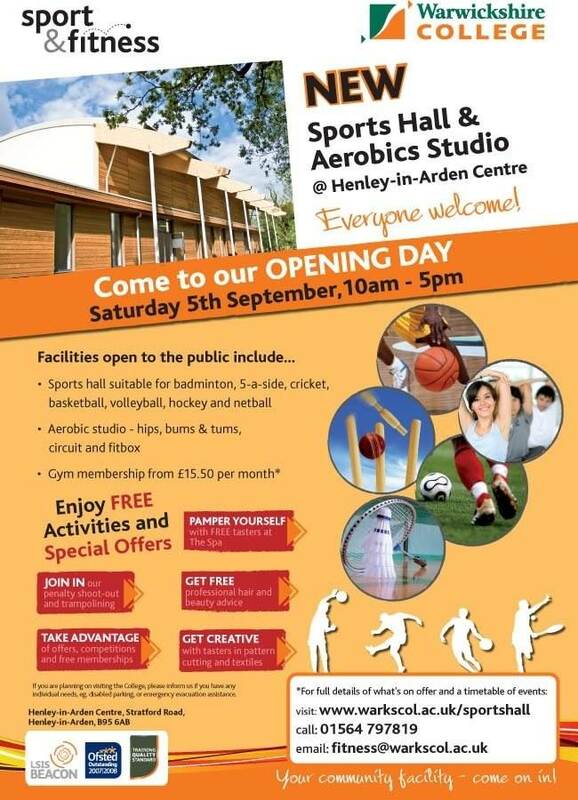 Non-members are always welcome. The Trading Standards Service is warning consumers about a security company that appears to be adopting an aggressive sales technique when dealing with elderly & vulnerable consumers. The company phones the consumer requesting consent to visit and undertake a "Police Home Security Check" - the inference being that the check is supported by the Police. An astute consumer challenged the Company and they admitted they had no connection with the Police at all. Trading Standards are concerned that this approach may be calculated in order to gain a home appointment which could then possibly open the way for potential pressure selling. 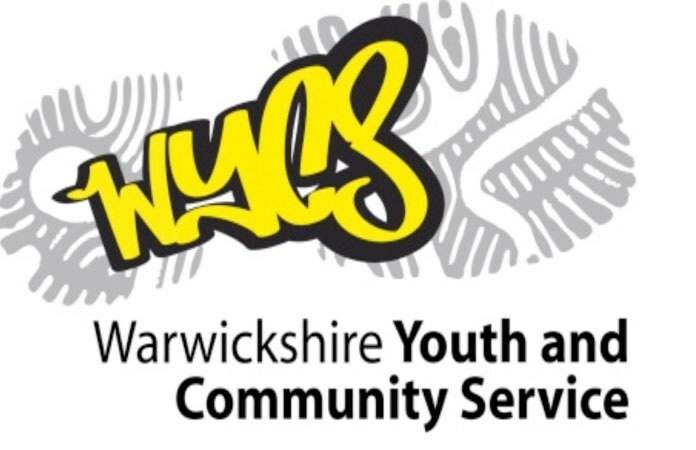 Warwickshire Trading Standards Service ask anyone who has contact with an elderly or vulnerable person to talk to them regarding this current issue and advise them to consider not accepting appointments from cold calls. If they have signed any contracts or taken delivery of any items that they are unsure of they can contact Consumer Direct and Trading Standards may be able to assist them in obtaining a full refund. Trading Standards Officers urge local residents who have any concerns over recent telephone calls to contact Consumer Direct on 08454 04 05 06 for advice. Don’t provide any personal or financial information to callers you don’t know and trust. Challenge callers' claims – ask for their name and their company name and if you wish to speak to them, phone them back via a publicly listed telephone number. If you don’t wish to speak to them put the phone down. To reduce the number of unwanted telephone sales calls you receive register with the Telephone Preference Service on 0845 0700707. If the caller is persistent seek advice from your phone provider (e.g. BT). If you are receiving abusive, threatening or obscene calls, malicious or otherwise distressing to you, then report them to the police. Trading Standards have received reports that phishing emails allegedly from "Paypal" are being received by consumers in Warwickshire. The email informs the recipient that their account has been temporarily suspended and to click on the link to restore access. Under no circumstances must recipients respond to the email or click on any links it might contain or risk losing personal or financial information or exposing the PC to malware. If you receive such an email delete it. 1. Volcanoes emit far more CO2 than we do by burning coal, oil and gas. Consequently the small amount we add by using these fossil fuels doesn’t matter. Both statements are untrue. Volcanoes emit less than 1/100 of the Global CO2 emissions emitted by our use of fossil fuels. Even if the first statement were true, the second need not be because the CO2 from volcanoes and other natural sources is being absorbed by the oceans, trees etc at the same rate that it is being produced. Adding more from fossil fuels changes the balance between production and absorption and could result in a build up in the atmosphere. The graph (above right) shows atmospheric CO2 concentrations over the last 1100 years. 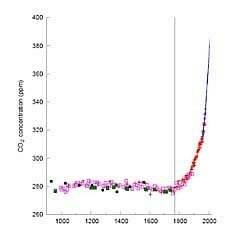 The little graph below it shows emissions of CO2 from fossil fuels from 1700. There is a remarkable coincidence between increase in atmospheric CO2 and the rising emissions of CO2 from burning coal and oil and gas. The black vertical line is the date of James Watt’s patent on steam engines. Notice how steeply the atmospheric CO2 is climbing. This is what is scary about the CO2 problem and why it has to be got under control quickly. 2. Warming is a result of solar system effects. The sun is producing more sunspots than it did in the early nineteenth century but the sunspots represent only a tiny amount of the overall energy that the earth gets from the sun. Sunspot activity only accounts for a 0.1% change in an 11 year cycle. According to the 2007 report from the Intergovernmental Panel on Climate Change (IPCC), the solar output has increased by no more than 0.12% since the ‘Little Ice Age’ chill of 1750. While there is evidence of a link between solar activity and some of the warming in the early 20th Century, measurements from satellites show that there has been very little change in underlying solar activity in the last 30 years. There is even evidence of a detectable decline and so this cannot account for the recent rises we have seen in global temperatures. The IPCC deemed it 90% certain that greenhouse gasses have more influence than solar activity on climate change. For most practical purposes 90% certain is more than good enough for deciding to do something unless there is a high risk of adverse consequences. For Climate Change the risk of doing nothing is enormous so 90% certain dictates maximum possible action. Not true. Atmospheric CO2 is currently producing relatively small changes in climate but if we do not halt the steep growth shown above the effects will soon become severe. We have a few years to make a real difference in cutting our CO2 emissions so it is vital that every individual, every organisation, every business and every government takes every action available to them and more in the fight against climate change. We have only one planet and every one of us can help to save it, but we must drive the change, no one else is going to do it for us. If we delay acting until major climate change effects kick in it will be too late. Saving the planet is a convenient expression but it does not exactly describe the problem. If we fail to control greenhouse gas emissions the planet will still be here after the climate has gone completely out of control but the human population as we know it today will not. There may be a small number who survive the famines and droughts and resulting global wars that climate change will cause. Not true. There are actually many ways an individual can have an impact on reducing the advance of global warming and everything you do to reduce your emissions will count. If everyone in the UK cuts their emissions by 30%, UK emissions will be down by 30%. If we all wait to see if others are reducing their footprint we’ll never get started. Quite a lot of people are already reducing their emissions so join the club if you haven’t started. Don’t forget, as each individual adopts lifestyle changes it contributes to a growing movement of consumer and political pressure – the one thing businesses and governments can never afford to ignore. The governments of all major CO2 emitting countries including China and the USA now have emissions reduction policies. Whilst the timing of particular stages of climate change cannot be predicted exactly the key point to note is that top scientists now agree that the world’s temperature will definitely increase by 2 or 3 degrees this century due to the CO2 currently emitted. The resulting temperatures and climate change will be difficult for many people and ecosystems to adapt to. The IPCC - the world's leading authority on climate change – has suggested that as climate change progresses it is likely that negative effects would begin to dominate almost everywhere. The sooner we do something the more likely we will be able to avoid the worse case scenarios. It is true that the world has experienced warmer and colder periods in the past without any interference from humans. The ice ages are well-known examples of global changes to the climate. But, even taking all the natural effects into account, scientists cannot explain the temperature rises seen over the last 100 years both on land and in the oceans without factoring in the actions of humans. We know from looking at gases found trapped in cores of polar ice that the levels of carbon dioxide in the atmosphere are now 35 per cent greater than they have been for at least the last 650,000 years (Yes, six hundred and fifty thousand). This is mainly due to the burning of fossil fuels and the widespread burning of the world's forests. The increase in global temperature is consistent with the level of increase in carbon dioxide and other greenhouse gases in the atmosphere. It depends what you mean by unreliable. We have to look at the changes we are seeing in the earth’s natural landscape and climate now as well as using modern forecasting models which are becoming increasingly more sophisticated. They are based on well-established scientific principles, observations of the climate and our understanding of how it functions. Climate models are not sufficiently well-developed to predict all details exactly. However, they have been shown to predict past and present changes in the global climate rather well. This gives us confidence that they provide a reliable guide to the future. A good way of understanding how well you are doing at reducing your CO2 emissions is to calculate your carbon footprint then look at actions you can take to reduce it. Carbon footprint is easily calculated from your gas and electricity bills, annual car mileage and the names of airports for take off and landing. Feed this information into the carbon calculator on any carbon footprint website to get the answer. www.jpmorganclimatecare.com/ is a good site for this. Have you had a tax rebate? Probably not. But you may well have had an email telling you have. Oh joy! (Why is it that, when we do get a tax rebate, we’re over the moon? After all, it was our money in the first place!) Yes of course it looks too good to be true. It is. It’s another scam. The email purports to come from HM Revenue and Customs (HMRC) but is usually from a rather odd email address. One I’ve recently had comes from “….@hrmcshelpdesk”. Yes, I did write hrmc not hmrc. That’s a giveaway for a start. Other giveaways are bad spelling and grammar. This one says, “Please enter your exactly information….” Civil servants can usually speak better English than that. For some reason it’s also asking for my credit card details!! Why on earth would the tax man need that? These emails do seem to be very badly timed: this year’s tax return isn’t due in yet so there’s no way HMRC would know you’d had a rebate. And if you’d been due a rebate from last year you’d have had it ages ago (but please don’t write in if you haven’t…...). There seems to be a flurry of these emails around lately; I’ve had several and friends likewise. Interestingly, they all mention different amounts of rebate and give different (bogus) reference numbers. So the scammers aren’t just sending out identical emails to thousands of people, they’re actually having to work at it! And if they’re prepared to put in that much work, presumably they must make enough money for it to be worth their while. It’s frightening to think how many people are gullible enough to fall for scams like this. HADS, with the kind permission of Great Ormond Street Children’s Hospital, are to perform Peter Pan, “A Fantasy in Five Acts”, based on the children’s book by May Byron and adapted for an outdoor arena by the writer. 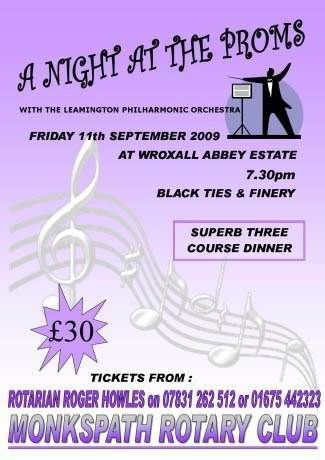 From Wednesday the 19th to Saturday the 22nd of August 2009 in the Memorial Hall. “Bringing the outdoors indoors – bring a picnic and a bottle”. ULLENHALLGARDENING CLUB – Tuesday 25th August in the Village Hall, Ullenhall, 7.45 for 8.00pm. Our speaker is Don Everitt “Autumn the Forgotten Season”. 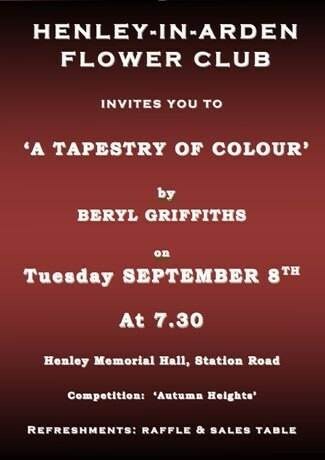 Visitors (£2) and new members always welcome. 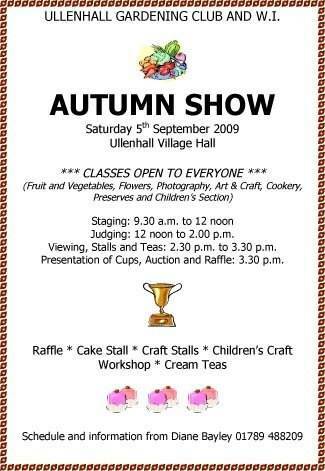 AUTUMN SHOW on Saturday 5th September organised jointly by Ullenhall Gardening Club and Ullenhall WI. 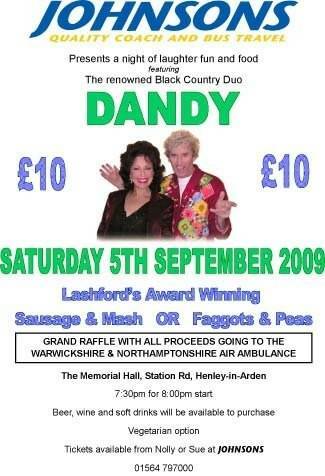 Show schedules and further details available from Diane Bayley (01789 488209). 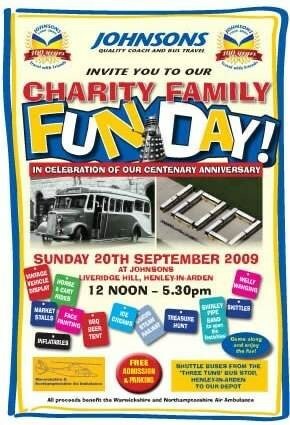 JOHNSONS’ CHARITY FAMILY FUN DAY – Sunday 20th September 12 noon – 6.00 pm. 2009 is a special year for Johnsons – 100 years in business and still very much a family firm! In celebration, we are hosting a family fun day at our depot in support of the Warwickshire and Northamptonshire Air Ambulance. 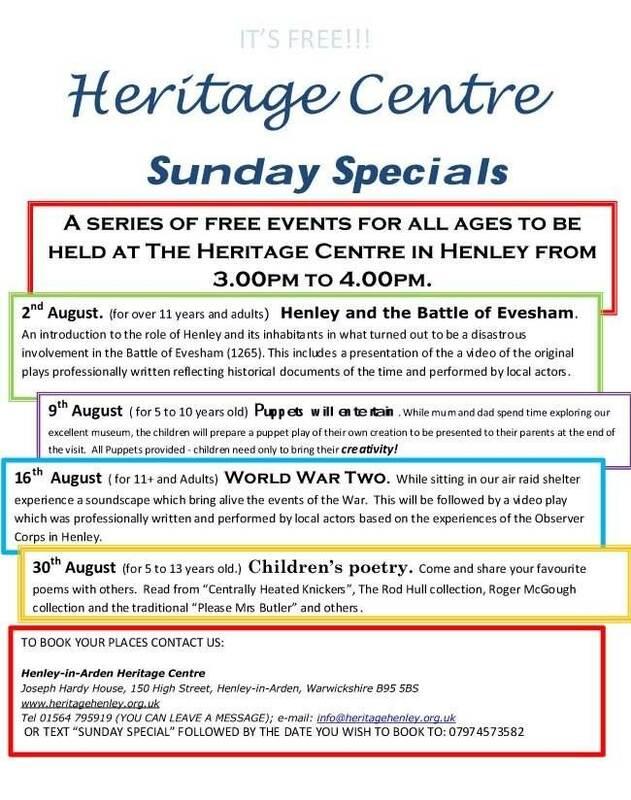 Highlights include a vintage vehicle display, miniature steam railway, horse and cart rides, air rifle range, arts, crafts and farmers market stalls and a whole host of other games, stalls and attractions. 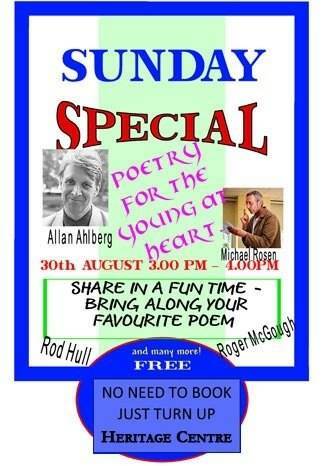 We’d be delighted if you would be able to join us.